Spot Light GPS Locater tracks your pet through a signal from their collar. This one is available for iPhone and Blackerries. 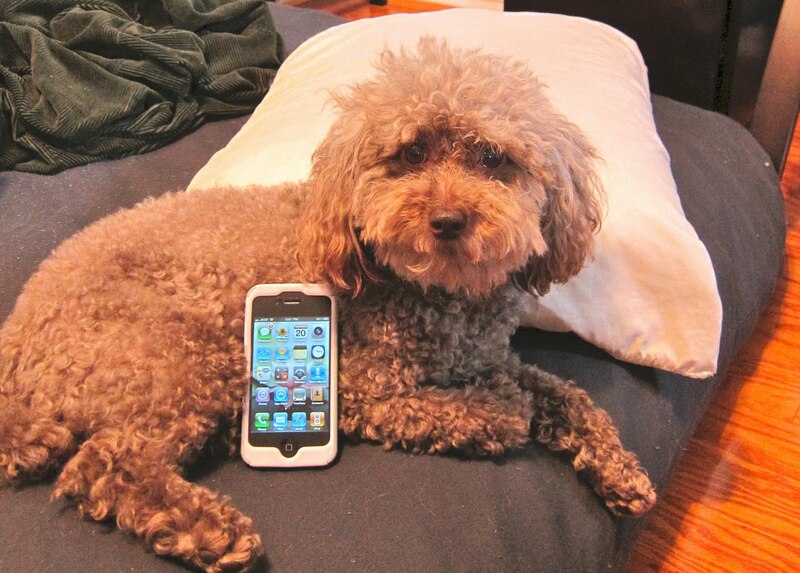 Pet Phone allows you to keep track of your pet's health, including appointments, allergies, weight tracking and more. You can track an unlimited number of pets for $4.99. Paw Trotter helps you locate pet friendly parks, beaches, hotels, stores, and of course, vets, groomers and boarding. You can even get reviews on each. Pet Acoustics offers relaxing sounds especially for pets, for a mere $1.99. Pet Snap is a pet photographer's dream, offering 32 sounds to attract a pet's attention, as well as zoon and framing features. DIA Webster has visuals of a pet's body with interactive versions of their systems. Vet DVM sounds too good to be true for a free app. You can record audio or video questions for their veterinarians, get referrals, and even second opinions. Petcentric Places gets high ratings from Dog Jaunt for locating nearby vets, daycares, dog parks, dog sitters, dog walkers, groomers and pet-friendly hotels. Pet MD offers all sorts of apps from locaters to health and emergency information. Paw Nation comes from the folks at AOL, and offers animal news of all kinds, videos, photos and even pet horoscopes. Pet Minder is a planner for your pet--appointments, medicine reminders, play dates and more. Paw Card helps you make a medical ID card for your pet that tracks their meds, weight, vaccinations and other health info. All Pets Radio Player is an all day radio show with pet news, tips, resources and non stop pet talk. Shake and Bark does what it says. You assign a recorded bark to a photo, and then shake the phone to hear the bark. Dog Tricks and Bark Machine isn't the greatest at offering tips on how to teach the tricks, but still, it's free. Check out the link for more iPhone apps reviewed by Pet Project Blog. Dog-A-Log helps you identify breeds by photos and description while you're out and about. Off Leash helps you locate nearby places to walk Fido. Fido Factor offers a place for you to keep track of your favorite Fido-friendly places. Each new listing and review prompts a donation to charity. Rate My Puppy allows you to post, rate and rank pictures of posted pups. It's all about the fun! Dogbook gives you a place to make a journal of your pup's life, and connect with other dogs, by breed, as friends. The best feature is the "Arf" Alerts for lost or found dogs. Do you know of others? Feel free to leave a comment with the names of more great iPhone apps for our readers to check out. We appreciate your input. Happy tails!